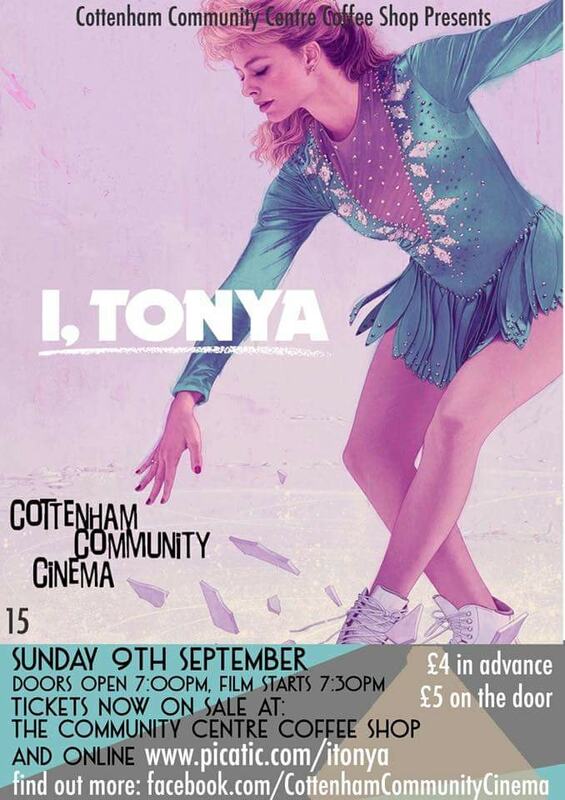 Sunday 9th September 7.30pm (doors 7.00) I, TONYA, Certificate 15, tickets £4 advance, £5 door here. Tickets also from the Coffee Shop. This fascinating true story is told in a very innovative way, with great pace and Comedy. Also the casting is perfect and convincing. It’s been the best film I’ve seen so far this year. If you don’t remember the story, are you too young……. In 1991, talented figure skater Tonya Harding becomes the first American woman to complete a triple axel during a competition. In 1994, her world comes crashing down when her ex-husband conspires to injure Nancy Kerrigan, a fellow Olympic hopeful, in a poorly conceived attack that forces the young woman to withdraw from the national championship. Harding’s life and legacy instantly become tarnished as she’s forever associated with one of the most infamous scandals in sports history. Hopefully see you in the coffee shop for Community Cinema on Sunday 9th September, doors open at 7.00pm, for a 7.30pm start.